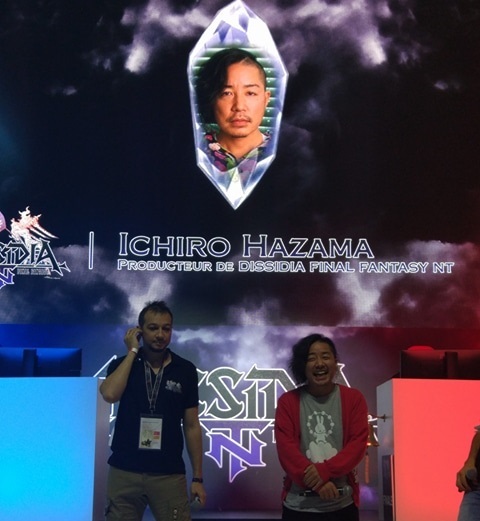 During Paris Games Week 2017, Producer Ichiro Hazama attended the event to meet fans et to promote Dissidia Final Fantasy NT which is the game that celebrate the 30th anniversary of Final Fantasy. We had the opportunity to meet him for an interview with the website InsideGamer. InsideGamer : What were the main decisions and changes to the game as to porting it to the PS4? The biggest addition we’ve added for the home console is the story. We’ve create a really great story with over 60 minutes of cutscenes in that story. 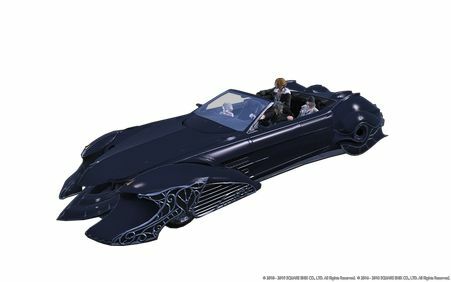 It’s the kind of story you can only have with all the heroes and villains from the Final Fantasy come together. We really think it’s going to be a really big enjoyment for the people who play the home version of the game. Finaland : Regarding the story, will all the characters be involved in the story cutscenes, even characters like Ramza and Ace? Also do you plan to add more story cutscene after the release with patchs or something so the DLC characters can participate in it? I can’t reveal full details of exactly what goes in the cutscenes at the moment, sorry about that, but there’s one interesting thing I can tell you. It was last week it was really late at night about 2am, I got a phone call, I picked up the phone it was from our creative director Mr. Nomura Tetsuya and he said to me “We really should be adding some new story scenes and new cutscenes with DLC after release” so I can’t promise anything at the moment but if he says we should do it then that’s something we should really think about, so hopefully. He’s quite frightening Mr. Nomura Tetsuya. Finaland : When Dissidia NT was announced, you said the Arcade version will continue to be updated too and that new content will first come to Arcade before reaching the Console version. Can you tell us how long it will take for a new content on Arcade to be accessible for us on NT? If you talk about the extra stages and new characters we will be adding to the Arcade version it should probably be about just over one month after the Arcade gets it that the Home version gets it. But just to make everything clear there are some extra content and new game modes and different things which are not going into the Arcade version and have been developed just for the Home version. For example we got a new game mode we have shown in our promotional video where each team has their own Core and you have to destroy the enemy core. That’s obviously not going into the Arcade version, it’s straight for the home version and also some special rules for battles and events and things like that. InsideGamer : I was just thinking about balancing. This is more of a brawler, it’s not really like a fighting game and it’s also not your typical action game. What I saw in comparison with lasts title, you could Dash forever and it’s changed right now. So I was wondering what changes did you find necessary for balancing the game even more? That’s a great question. I was talking with our director Mr. Kujiraoka about the balance and what he says about it is that Dissidia is very interesting in the way it’s balanced compared to other games because generally in games like this you have all the characters and you compare them, the ideal would be if you have a 1 to 10 scale you’d want all the character to be around 5 and so they would be exactly equal to fight each others. The way we made the characters in Dissidia is not exactly equal on that balance from 1 up to 10. So 1 vs 1 some of the characters may appear to be much stronger than the others but the way Dissidia is balanced is because it’s a team battle game. You may cope up the differences and the weaknesses in some characters with other characters that can make them a lot stronger. So it’s a very interesting dynamic of balancing it across the whole team that we look at. It’s interesting you talk about balancing and I think that you’ll never get to reach a point where everything is absolutely perfect, that doesn’t exist. But the team and Mr.Kujiraoka himself the director and the Team Ninja developers, every month they go back to the game and they carry out little tweaks and adjustments and they rebalance everything. We want to keep doing that in the future going forwards obviously as we introduce new characters by DLC that makes the balancing a lot harder each time but we really do want to concentrate on that and keep making it better and better each time. Finaland : In the trailer, Materia and Spiritus are enemies, wanting to rule their world. But it seems that Materia is with heroes and Spiritus is with villains. Who’s right, Who’s wrong? Does that mean the story is manichean? To answer the question is not just a simple battle between good and evil, there’s a lot more depth to the story in that way certainly. The world that the game takes place in is the same world that we saw in the original Dissidia and Duodecim. The story from the original two Dissidia games was completed with Duodecim, that story of the gods Chaos and Cosmos, that very much was a classic struggle between good and evil for the fate of that world. What’s going on now is in the same world but it’s after that so it’s going to be a different story. The characters are called back to the same world now and Chaos and Cosmos are not there and there are two new gods who rule over this world. The story is about WHY the warriors are being called back to this world and WHY this new battle is taking place between these two new gods and that’s what we experience as we go. InsideGamer : I was thinking about different multiplayer games, I just saw the tutorial video and you have to make three kills, and those three kills can be of the same person, you can just kill the same person over and over again. It was really interesting to me to see this thing where you have to play really together and in NT everyone is equally important. Is there an idealist thing behind it? Like it needs to be like everyone’s important? It’s exactly right what you noticed about the game, it’s only linking back to what I said before, the fact that some of the characters independently 1 on 1 may have differences, some of them are stronger, some of them are weaker, and the idea here is that it’s not three 1 on 1 battles taking place in the same arena, it’s really a 3 vs 3 team battle thing so what we really felt was important, what we really wanted to value in the gameplay is that idea of you’ve got these fighters where 1 on 1 might be slightly unfair but you’ve got the other 2 players and they come in and they adapt to that and make up the differences for that. So yeah it’s true that every player has their own role to play in the team and in the game and all the characters are importants it’s not just about individual conflicts. I’ll tell you a little bit about how I’m playing at the office with the guys on the development team. I’ve personally played around 8000 battles in this game so far, to tell you the truth I’m not actually all that good at the game, I’m not a top level player. I normally play with our director Mr. Kujiraoka and one of our project manager. Mr. Kujiraoka is quite good and our project manager is an even better player. So when we are all fighting all together because the other guys in the office know how good we are it’s normally always me who gets attacked by the enemy team because they know I’m the weak link. But because of that you see the other two guys on the team, they really try so hard to protect me and help out my character. As the return to that on the other side when one of the enemies concentrate their attack on one of the other two I definitely try to help them out and support them with my attacks. I think that’s really what is part of the enjoyment of the game, that feeling of having this trusting comrades with you and be able to fight together and to combine your skills, I think that’s really what makes Dissidia a good game. Finaland : We would like to talk about the musics of the game. We have heard the arrangements Takeharu Ishimoto-san did for Dissidia Arcade on livestreams and during the beta test. We found the new tracks quite different from what he did for the two PSP Dissidia games. Did you give him a specific new direction for composing the new arrangement for Arcade/NT? First of all you’re talking about designing the music and deciding where to go for them and that’s something that professional musicians and composers should be involved in, that’s not really something I should be giving directions on too much because they know that world a lot better than I do. I think because of that you can enjoy both the originals and the rearrangement rather than thinking of it as the same thing and have two different ways to enjoy the same music. InsideGamer : What was the most challenging thing about making this game. Were there points you thought weren’t going to work but ended up in the game anyway? The first part of the question, what the biggest challenge was, I think that definitely has to be getting that 3 vs 3 battles to work and get that system to be what it should be. Games like this, the time it takes for one match to finish is about three and half minutes and the thing is, there’s never been a game made with the same kind of dynamics in the past so in a sense that was our invention and creating that system from scratch and building it and making it work was definitely the hardest part of making the game. The other part of the question, everything that I heard, all the ideas for the game that were brought to me and presented to me, I think pretty much all of those pretty much have already been put into the game or we still have plans to put them in the home version. But I’m talking from my position, in the future if I manage to bring our director Mr. Kujiraoka here and you ask him the same question, it would be good if you could ask him that question because he would probably come out and say “No no no Mr. Hazama doesn’t understand this, how difficult it was to get that in the game” he’s probably got a very different opinion on what was hard to put in and the things he gave up maybe half way through. Finaland : Two years ago, maybe you or not we're not sure... Someone said that all Duodecim characters would come back, is it still intended? The reason we could say something like that is because of the idea of the DLC and the possibility to add new characters to the game. 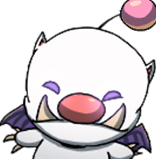 The policy we have for going forward in adding characters in the game is the first thing we are going to do is try to get all the main protagonists, the hero characters from all the Final Fantasy games and all the villains from the numbered games go in the game. That’s the first priority. The second priority in adding new characters is that to make sure all of the previous characters from the original and duodecim get in there too. Those are our most important factors when deciding what characters get in the game. For my own personal view it’s really something I’d like to get out for as many players as possible, not just in the Arcades but people around the world as a console game too. Certainly Theatrhythm is a game that’s very special to me. It’s perhaps the first game I made in my career that I really wanted to see made personally and from the design proposal right through to creation and I managed to get that out so I’m very proud of it, I’ve got very special memories with Theatrhythm. I think I’ll go back to Japan and look for the possibilities to get that over here but personally I really want to see that happening. I’m really happy to hear that! Finaland (Fat Chocobo) : Onegaishimasu! 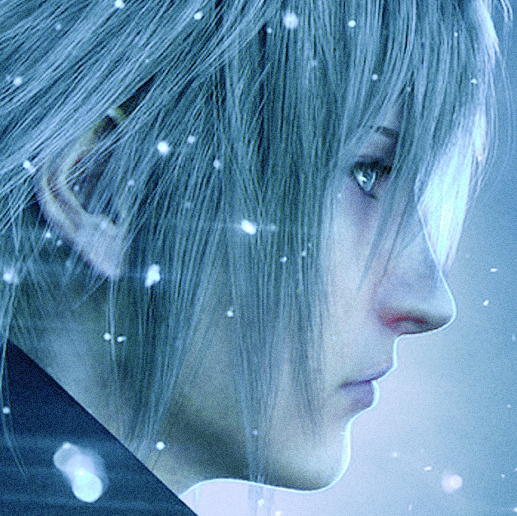 InsideGamer : I want to ask a bit of a personal question, what is your favorite Final Fantasy game? My personal favorite is Final Fantasy VI, and it’s some way it’s not just a game I really like, it’s perhaps the reason why I started working for Square Enix in the first place. I still remember that introductory scene to Final Fantasy VI where you have the Magitek Armor charging through the snowfield of Narshe in the introduction. That really have stayed with us, it’s such a really great scene I remember thinking at the time “I really want to be able to work with people who can make a game like this and create something similar myself” that’s part of the reason I joined Square Enix so it’s a very personal and very important game to me. I really love Final Fantasy VI. Finaland : So it’s more like a request from the french community instead than a question because we know we can’t ask you about future characters so, the french community and fans would really like this, they think that all fifteen FF deserve to have a bad guy, a villain, even Tactics and Type-0 just like the first ten episodes. Thanks a lot for that, I really understand that the people want to see the villains obviously, looking back at the Dissidia, the PSP versions, there were some titles who did have a villain, some who did not, we really do want to fill in all the gaps there. I’ll take this back to our director Mr. Kujiraoka and tell him that people are looking for that. I think the priority of which ones go in first and the order the come in may have to be looked at with a little more details but we do want to get all the characters people want to see into the game. Interview conducted by : Falen Nadleeh, Fat Chocobo et Eline O.
Cette news a été postée le 10.11.2017 à 16h01 par Fat Chocobo. Cette news a été lue 2613 fois.